I woke up this morning in Deer Valley, Utah to a fresh blanket of pure white snow on the ground….a true winter wonderland right outside my window. I can´t think of a prettier place to be for Valentine´s Day and I have big plans to snuggle up in a cozy fur blanket and enjoy the beautiful snowfall from my cozy heated cabin. This is what Valentine´s Day is all about to me. Being in a place you love, with the people you love, doing the things you love. It doesn´t get any better. I for one don´t need expensive champagne or fancy flowers to make February 14th extra special. What I do need is a decadent chocolate dessert, two forks and a little less time in the kitchen. 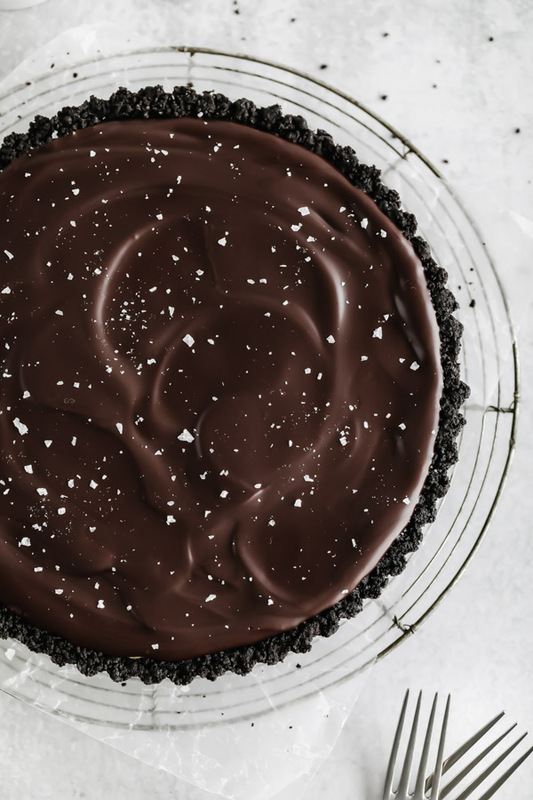 Say hello to this Peanut Butter Chocolate Ganache Tart that checks all those boxes and then some. This peanut butter and chocolate duo comes together in no time which means less kitchen time and more chill time to put your feet up and snuggle with your honey. I first came across this tart recipe on The Broken Bread´s site and it looked too good to be true. The salty sweet combo of my dreams. 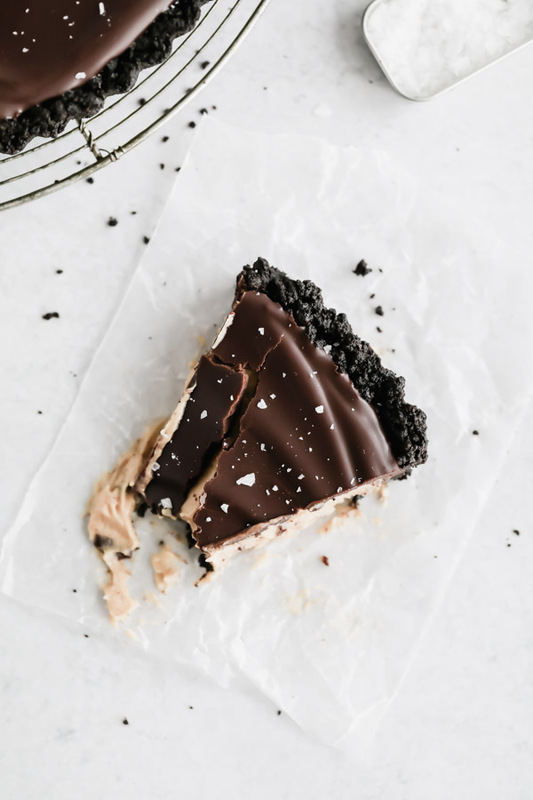 No one can deny that peanut butter and chocolate is a match made in foodie heaven and this tart was calling my name. You´re all well aware of my obsession with chocolate so I made a few modifications to Kristan´s recipe to up the chocolate factor just a bit. When it comes to chocolate, more is better and don´t try to convince me otherwise. 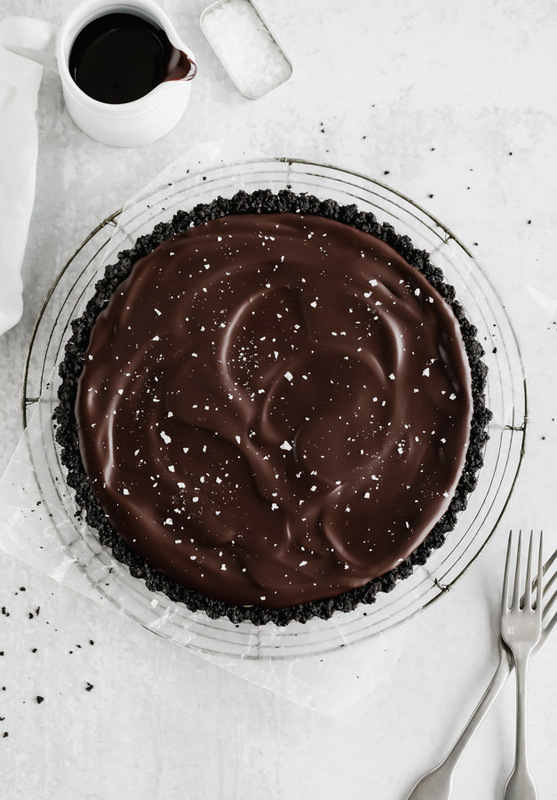 I can do without the champagne and flowers, but Valentine´s Day isn´t complete without a generous dose of chocolate and this tart delivers. It is positively swoon worthy! Not only is this tart ridiculously delicious but it´s embarrassingly easy to make. No fancy baking skills required which earns this Peanut Butter and Chocolate Ganache Tart a spot high on my list of no fail recipes. And can we take a sec to ooh and aah at that shiny ganache top. It gets me every time. I hope you´ll make this heavenly tart, grab your sweetie, a couple of forks and dig in. It´s just the dessert you need in your life on February 14th and if I were a betting girl I´d guess you´ll make this showstopper again and again all year long. 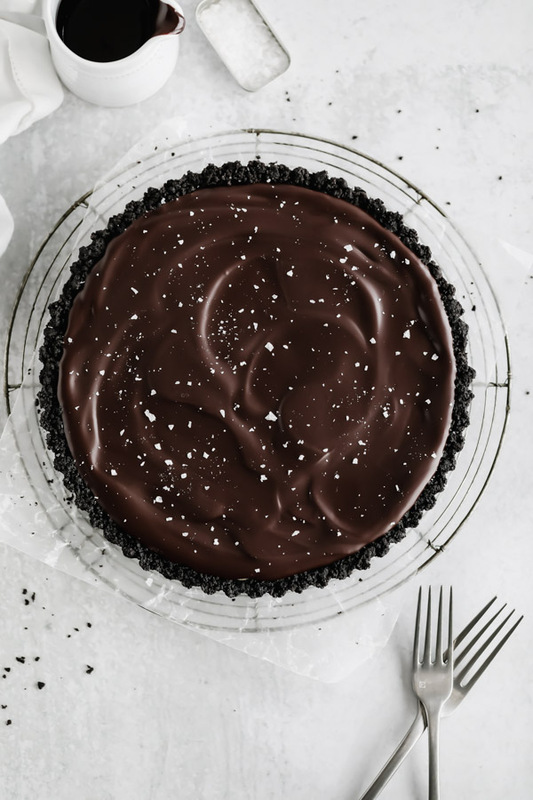 If you make this Peanut Butter and Chocolate Ganache Tart, don´t forget to tag @brownedbutterblondie on Instagram. 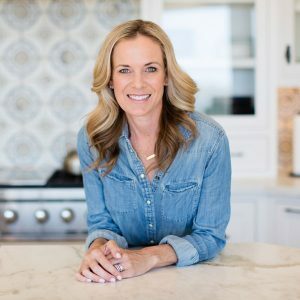 Nothing makes me happier than to see what you are baking up in your kitchens. Happy Valentine´s Day! Wishing you lots of love and chocolate. A dreamy peanut butter and chocolate ganache almost no bake tart that is the perfect combination of salty and sweet. 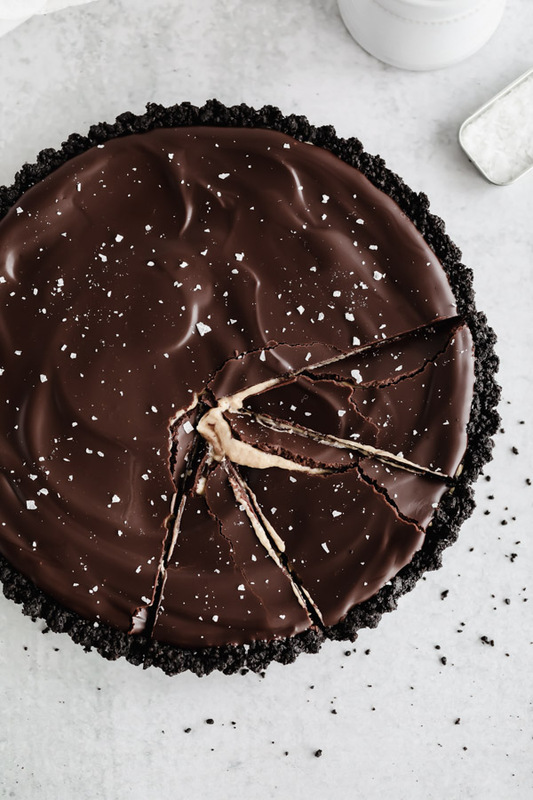 A simply tart made with a crunchy, chocolate cookie crust, and a fluffy peanut butter filling all covered in a silky smooth ganache. This tart is simply delicious and comes together in minutes. In a medium bowl, mix the cookie crumbs and and melted butter together until combined. Pour mixture into tart pan and use your fingers to press the cookie mixture into the bottom and up the sides of the pan. Place the tart pan on a cookie sheet and bake for 8 to 10 minutes. In the bowl of a stand mixer fitted with the whisk attachment, beat the heavy whipping cream until soft peaks form. Do not over beat. Scoop into a small bowl and refrigerate until needed. In the bowl of a stand mixer fitted with a paddle attachment, beat the cream cheese and peanut butter on medium speed until smooth. Sift in the confectioner´s sugar and beat until fully combined. Add ¼ cup of the whipped cream to the mixture and and quickly stir to combine. Add the remaining whipped cream and gently fold in using a spatula until just combined. Scoop the peanut butter mixture into the cooled tart shell and smooth the top with an offset spatula. Add the chopped chocolate to a small bowl. Add ¼ cup of heavy cream to a small saucepan and bring to a slow simmer. Do not boil. Remove from heat immediately and pour over chocolate. Add cubed butter and vanilla and let sit for 5 minutes without stirring. Whisk the chocolate mixture together briskly until a smooth and shiny ganache forms. Pour over top of peanut butter mixture and smooth out the ganache using an offset spatula. Place tart in refrigerator until chocolate ganance is set. Remove tart from the pan. Sprinkle tart with flakey sea salt if desired. Store left over tart in refrigerator. Recipe slightly adapted from The Broken Bread. I cannot wait to make this next weekend!! Looks absolutely stunning. Kind of a silly question, but for the peanut butter portion, did you measure out 1/2 cup of heavy whipping cream, whip it and then use 1 cup of that? I think I’m overthinking the instructions. Thank you! Yes, that’s exactly right. I’m going to rewrite that part of the recipe because I think I’ve confused a few readers. Whip it first, then fold it in. Enjoy! !